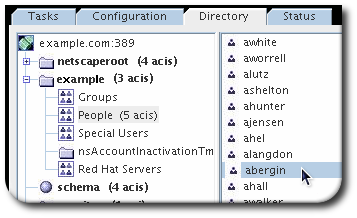 Users can browse the Directory tab of the Directory Server Console to see the contents of the directory tree and search for specific entries in the directory. 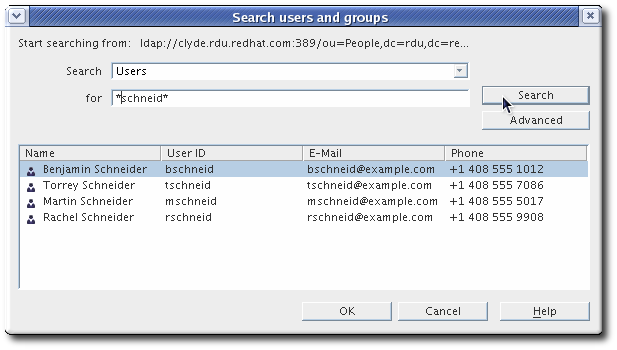 Depending on the DN used to authenticate to the directory, this tab displays the contents of the directory that the user account has access permissions to view. Browse through the contents of the tree, or right-click an entry, and select Search from the pop-up menu. Do not modify the contents of the o=NetscapeRoot suffix using the Directory tab unless instructed to do so by Red Hat technical support.